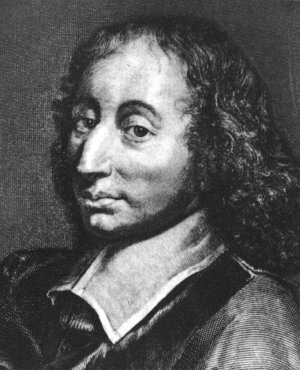 "The sole cause of man's unhappiness is that he is unable to sit quietly in his room," wrote Pascal. Did he mean if we sit on our bums, the sum of unhappiness in the world will decline? Is this the ultimate escapism, the depths of irresponsible selfishness, the ultimate political quietism? I think it needn't be. Eliot said we are "distracted from distraction by distraction." I offer you, good people of the jury, Facebook and Twitter. Whatever is good about them (much, for many) they are also an easily-available seductions into distraction, an invitation to put aside consistent application and reflection, an opportunity for a short snarl, a nasty but brief verbal attack. I think they tend to make us sit unquietly in our rooms, or on a train staring into our phones. I take Pascal to mean that calm thought, whether it's the longitudinal pursuit of reason and analysis, or the presentmomentness of meditation, or reflective states of creativity, or some kinds of prayer - calm thought is the only way to develop the wholeness of an integrated personality, of someone who may at least have the potential for happiness in him/herself, and therefore of creating happiness in others. Would you agree that happiness, like unhappiness, can be be infectious? Living in what might happen next, or what has happened, rather than at least trying to find content in where you are, surely makes us chase our tails. Sitting quietly in a room means our tails can be tucked safely out of the way and we can be what we are right now, for a while at least. Whilst we were canvassing for a general election candidate yesterday, a good friend who is giving so much more to it than I am, said "I'll be pleased to get my life back on June 9th." At elections people divide, and argue about the divisions - we have to. Policy choices must be made. Then after an election, people gradually drift back into their usual associations, which frequently work round and over the top of political differences. That re-grouping is essential too. But it's getting harder. It was particularly hard for many of us after the EU referendum. A bit of sitting quietly in our rooms may be very helpful when all the scratching and blaming and arguing - necessary, unavoidable maybe - is done. But it would help if more of the arguing was more civilised, less of a cheap headline howl, less personalised. It might make it easier to get back normal again - whatever that is.